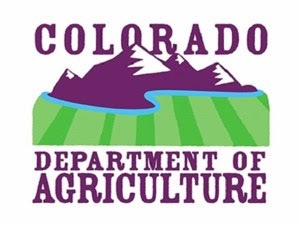 LAKEWOOD, Colo. – The Colorado Department of Agriculture is seeking public comment per the request of the Colorado Dry Bean Administrative Committee as they are seeking approval to increase the assessment from $0.04/hundredweight (cwt.) to $0.08/cwt. for producers and from $0.02/cwt. to $0.04/cwt. for handlers. The goal of a marketing order is to establish and expand the market as well as create and maintain that product as a viable crop in Colorado. The current assessment rate has been in effect since 1988. If passed, the increase will allow the Committee to invest in research of new upright varieties and pest control as well as education, promotion and other issues of concern to the Colorado bean industry, growers and consumers. The meeting will be held at Colorado State University’s Agricultural Research, Development and Education Center (ARDEC) Plant Science Conference Room, 4616 NE Frontage Rd., Fort Collins, CO 80524 on Wednesday, February 12, 2014 from 10:00 a.m. to 11:30 a.m. Written comments may also be submitted via e-mail to markets@state.co.us or mailed to Casey Palmer at the Colorado Department of Agriculture, 700 Kipling Street, Suite 4000, Lakewood, CO 80215. All comments must be received no later than Friday, Feb. 14, 2014 at 5 p.m.